Well, we are in the final week of the exit negotiations and anyone who has been actively involved in the Brexit campaign, be they Remain or Leave, knows that this will be the longest week of all… and what a complete fiasco it has been for the past three years. I remember stating from the offset that it could only ever end in a No Deal Brexit and I was ridiculed at first for even contemplating it but that fact remains that the EU simply could no ever offer Britain a mutually beneficial deal because that would have only enticed 27 other member states to follow our lead. That was blatantly obvious to anyone with a bit of political nous. 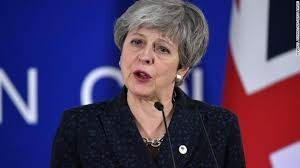 I even wrote an article sometime back saying that Theresa May could well be playing a blinder and on reflection I honestly cannot see how she could have delivered a No Deal Brexit, any other way than by clicking the can down the road and letting the exit negotiations clock simply run out and that is exactly what she has done. Now I am personally no fan of the Tories but I do admire clever political gameplay and credit to Theresa May because she has not once faltered in her attempt to deliver what the people voted for, though at times it certainly has seemed she was losing the plot. For those who still ardently believe she has been a Remainer all along and out to scupper Brexit, surely if that is what she wanted to do then all that was needed was to put No Deal on the table at the start knowing full well that Parliament would have rejected it but she didn’t, she finally put it before parliament as an advisory once it had passed the point of no return and I think that was done purely to give Labour enough rope to hang themselves, which they certainly did. So as we enter the final week of the Article 50 exit negations I know it will be the longest week of Brexit and Remainers will continue to do everything they possibly can to thwart Brexit, they even have a petition running at the moment to Revoke Article 50 and is has received at time of writing it over 2.7 million signatures and in the usual Remainer fashion this proves to them that Brexit must be stopped. However, that particular petition has over 50% invalid signatures so really it has been signed by 1.2 million UK Remainers and considering that 16 million voted Remain on June 23rd 2016, does that mean that 15 million no longer support Remain? If you copy and paste the live data into a spreadsheet and total the number of signatures you will see that less than 50% of the totals displayed on the petition are actually a valid signature. Don’t bother telling me I am wrong as the figures speak for themselves and let’s be honest, for that petition to have any real meaning it would need to have more than 17.4 million signatures to counter the number of Leave votes in 2016. So it is a nonsense petition and Remain loses yet again but I suspect by now most Remainers are more than used to getting it wrong in regards to Brexit. All “despite Brexit”… If only Remainers had had a little more faith in Britain’s capabilities they could have saved themselves a lot of heartache and frustration and us Leavers a lot of headaches from trying to point out the obvious to them. Britain is on the dawn of a much better and brighter future outside the confines of the EU and that is something I do intend to celebrate on March 29th 2019. Well I am certainly not afraid to admit that I certainly got Theresa May wrong in this article and it seems she really does not give a damn about this country and her own party because she seems intent on wrecking both before she scuttles off … Probably with the biggest brown envelope of her political career!